A super-city would zone for its best architecture. 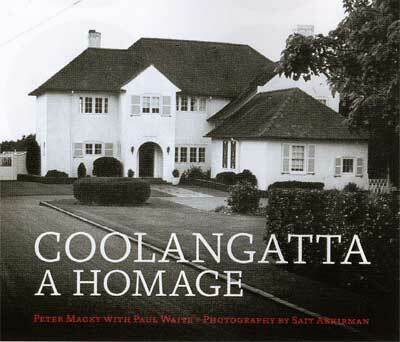 The passionate plea of Peter Macky in his excellent book “Coolangatta: A Homage” for the preservation of a significant number of Auckland’s finest houses is music to the ears of anyone who cares about our architectural heritage. However it is unfortunate that the book assumes that the planning process is always going to be hopeless and that scheduling is the only answer. Coolangatta was doomed when the planners zoned the land for twelve apartments. That process suddenly attached a value to the land which it did not have. The only way to realise the artificial inflation of value was to demolish the house. The debate about scheduling was concerned with bringing the value of the land back to what it should have been in the first place, and our greedy economic thinking incorrectly identified this as a loss. Our land came free and was here before we arrived. We gave it a value. Some land still has no value because of the architecture it sustains. The land under St. Matthews in the City is worthless precisely because St Matthews is sitting on it. In contrast the car park next door has a very high value because it is up for grabs as it is not compromised by a church of architectural merit. You could say the car park value is inflated because it is next to St Matthews. We make plans; planning does not make us. We have a planning process to achieve whatever we, as a community, want to achieve. When the process is used by a few private individuals to make a profit through demolishing great architecture every planner should confess to failure. Peter Macky has done an excellent job of identifying iconic houses of priceless value. Sait Akkirman has provided convincing photographs. All we now need is some planning. Each of those house sites should be zoned for its house, in the same way that the Coolangatta site should have been zoned for Coolangatta, not apartments. Forget uniformity. Life never was uniform. Forget our idea of what should have happened in history. Those particular houses, designed by those particular architects, ended up on those particular sites for all sorts of reasons. Ignorant planners with no design skills would have done it differently, but fortunately they were not around. When a site is zoned for “irreplaceable heritage” rather than “potential” the situation is perfectly clear. Any purchaser who wants the site but not the house needs to go elsewhere. Peter Macky has advanced the argument more forcefully than any architect. In theory the creation of the super-city provides an opportunity to re-think how and why we plan. All we now need are planners with courage and architects to support them.